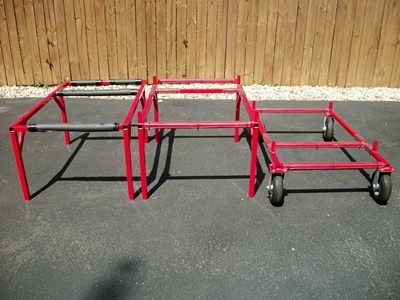 I have a Streeter Triple Decker Kart Stand. 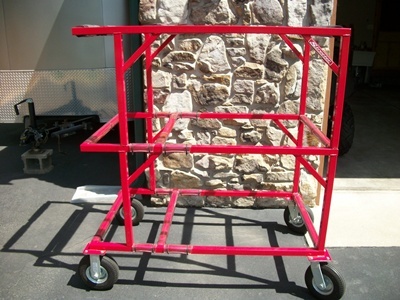 Great for storing or transporting 3 Karts. We no longer have 3 karts, and haven't been able to race much lately so it's time for this very nice stand to get a new home. This stand completely breaks down into 3 seperate stands, allowing you to use it in several different configurations. It measures 48" long x 30" wide x 54" tall when completely put together. You'll need to pick this up on the westside of Indianapolis.